'Stamp duty' is a quite strange tax system. A piece of paper (document) that you have created will be taxed. It is easy to capture the information of income tax or liquor tax, but it is taxing every document from "contracts of top secret" to "a receipt of the tavern". There is no guarantee that they are taxing properly on the documents of huge amount. And the tax audit to ensure the fairness will cost enormous. The Dutch who invented this tax in the 17th century could never have thought that it would continue to exist until the 21st century. In Japan, it was introduced in 1873, and it has been going on for 140 years thereafter. And even in the 21st century, in many companies they are pasting things like a postage stamp to the documents and then stamp cancellation mark. It is so cumbersome. 200 JPY for each piece of receipt of more than 30,000 JPY, 200 JPY for each volume of bank book, 4000 JPY for each copy of Basic Contract agreement... And every year, more than 1 trillion JPY of stamps are sold throughout Japan. # If you have not seen a revenue stamp ever, go to a restaurant or a tavern to spend more than 30,000 JPY, and ask for a receipt. They will give you a receipt stuck a thing like postage stamps (200 JPY stamp) in any store. 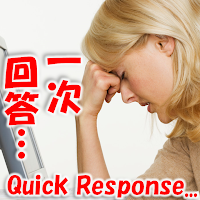 Are you capable to answer sufficient information quickly to inquiries through 'Inquiry Form'? The inquirer may have a 'large anxiety'. The inquirer may have a 'large expectation'. You might be able to ensure a certain quality of supporting in 'Inquiry Form' or 'Inquiry Email' by devising procedures in the team, while 'Telephone Support' highly depends on the ability of the person. an email comes in at the email address for Contact Us that has been published here and there. That is, automatically starting 'Inquiry Handling' by a team. If the question was simple, the answer is prepared and the operation is completed soon after the Workflow was started. For a higher difficulty level question, only the primary response will be sent and advice request is routed to the R & D department, etc.. In either of the cases, all the inquiry will become obvious about 'Who is taking care of' and 'What state it is in' or 'How it is discussed', by managing the Inquiry Handling in Workflow system. Needless to say, visualizing the "Progress" leads to 'speeding up' and 'raising the quality'. Operations that not be Defined its Processing Procedure Clearly, also on Workflow! "Ad hoc" in other words, 'not decided how and by whom it should be treated'. In terms of the Business Processes, for example it is an operation despite you know there exist three processes, in some cases these processes would be handled in order of [Process A] - [Process B] - [Process C], but in other cases [Process A] and [Process B] would be handled simultaneously after [Process C] has been processed. Originally meaning of the [ad hoc] is "non-repetitive" or "non-permanent". First of all, BPMN as 'notation of Business Process Diagram' has a mission to well-define 'a Business flow of repetitive and predefined'. But in the other hand, BPMS (BPM System) as a 'Business system', should manage all the business progress (whether repetitive or not). After all, it is very hard for BPMS how to handle 'a Business flow unlikely to pre-defined'. In Questetra, it is devised to handle such ad hoc processes by 'ganging up'. 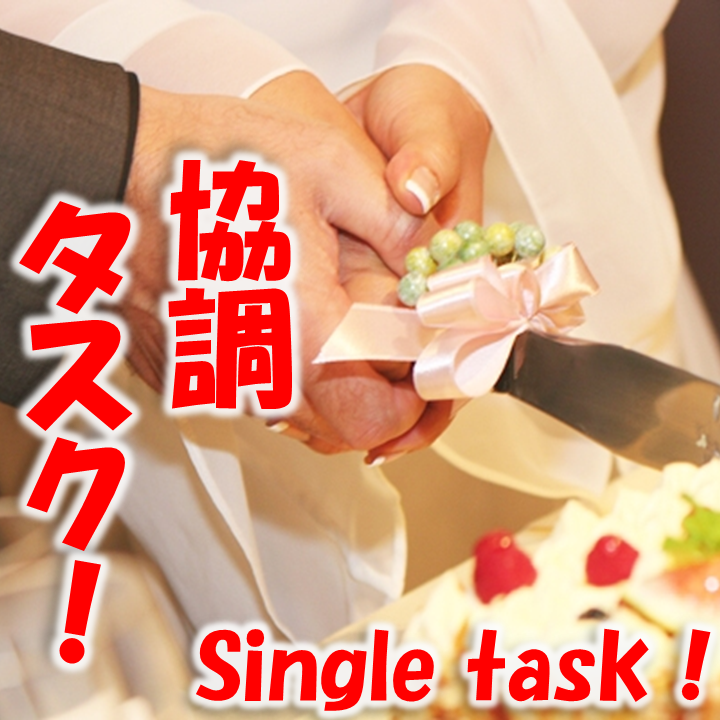 That is, it is a concept that 'putting multiple Tasks together as one, and handling it with everybody'. Specifically, it is trying to solve it by providing a cooperative work by the following three functions. In fact, this is the point which attracts attention from IT research companies and IT society. As the IT Research company Gartner, pointing out in "Component of a Business Process Management Suite", the core of a BPM product is 'Workflow Engine (Process Execution and State Management Engine)'. 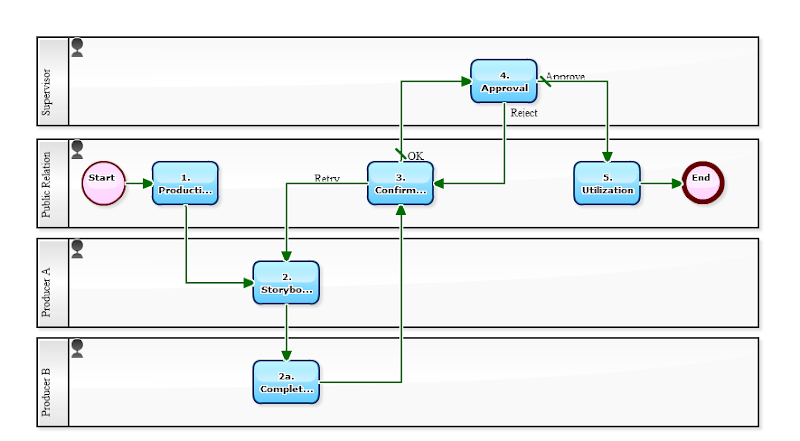 That is, a BPM Product always includes Workflow function. However in fact, there is a difference in supporting 'type of Workflow diagram' between "BPM Products" and "(conventional) Workflow Products ". 'Daily Report', which is always indispensable for Sales section or Procurement section. 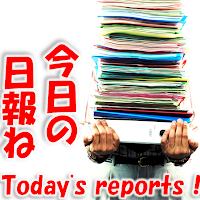 It is a framework that to summarize the day's results and impressions, and to be submitted to the manager every day. It is a very effective method to share information for certain type of business. It is convenient for who submits the report as well as who leaves comments because they can handle in the daily cycle. 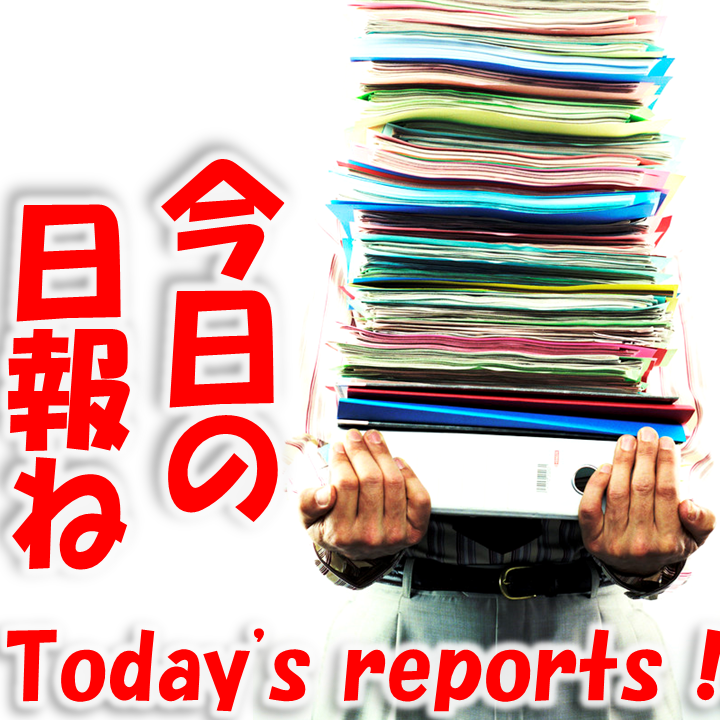 However, in the other hand this Daily Report will not be read by other than the managers. Though it is the precious live information... Though it is the precious record... it is nothing but wasteful. The following [Interview Report flow], an example of Reporting flow, the frequency of the report is assumed as 'whenever' instead of 'Daily'. So the title of the report will be "AAA.,Inc 20yy. mm, dd" instead of '20yy. mm. dd personnel name'. By doing this, it will be easy to refer when you search for 'Name of Customer'. When you search for 'Name of Customer' over the whole Workflow system, not only history information stored in [Interview Report flow], you can browse history information also in [Order flow] or [Estimate flow]. It will allow an Accounting personnel to quickly reference contact record of the past when he or she had suspicion on the invoice from the outside. It will allow management to obtain information of time series such as from the initial contact, to Estimation work, Contract processing and to Billing.